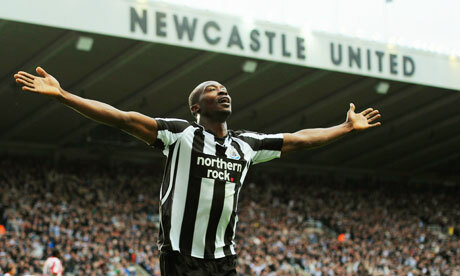 Shola Ameobi. Newcastle United, 2000 – 2014. 397 games, 79 goals. This entry was posted in Football and tagged Ameobi 1.0, No Shola, NUFC, the end of an era, The Ghost of Ameobi Past. Bookmark the permalink.